That “big game” is happening this weekend and we all know that it ain’t really about the game at all. Nope. Everybody knows it’s all about the snacks!! After each game I won’t be able to tell you who won or what the half time show was like, but I can sure let you know what kind of appetizers and snacks were being served. My obliviousness to this game became apparent one year when we went to see a Michigan game at the “Big House” and I unknowingly wore the opposing team’s colour (from head to toe) while sitting on the Michigan side. It took me a while to figure out why fans from the other team were patting me on the back and high fiving me. So this is why I stick to the food. Here are a few ideas of great appetizers to serve if you’re hosting. 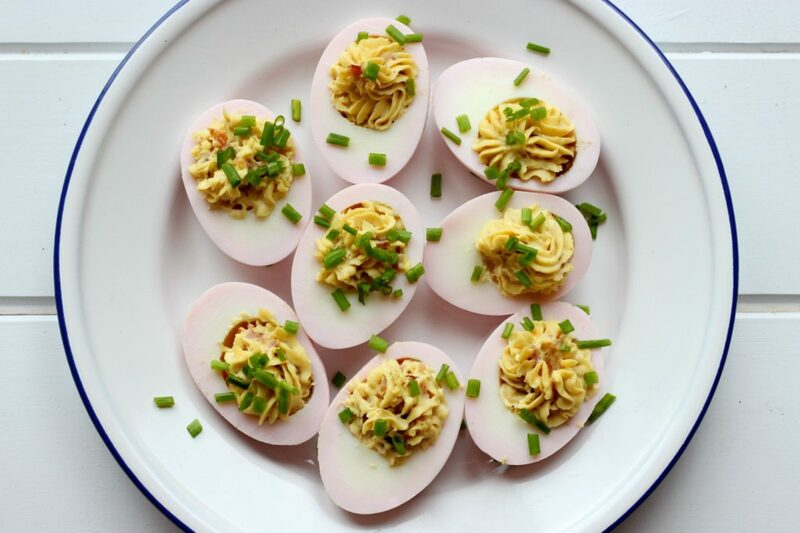 You can’t have a party without the devilled eggs. This recipe gives a light pink tinge and the bacon….well, the bacon gives it it’s awesomeness. 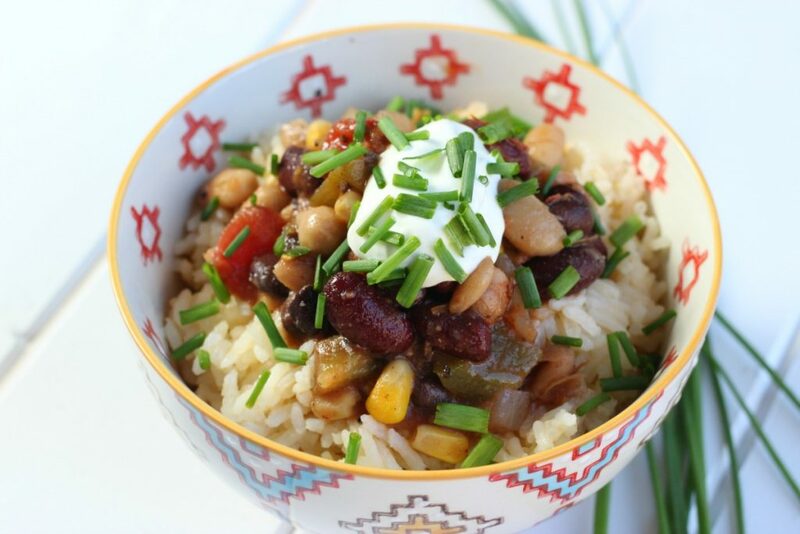 Okay this one isn’t really an appetizer, but what’s a football party without chili? This one will satisfy the vegetarians in your group and might even win over those carnivores. Empanadas are awesome. This recipe uses the Srirausage, a sausage collaboration between Robbie’s Gourmet Sausage Company and WindsorEats, but you can substitue your favourite sausage instead. Fresh salsa can win anyone over. This Chilean version of a salsa can be paired up with empanadas or eaten on it’s own with tortilla chips. Taco bowls are the best kind of bowls. I mean, c’mon. 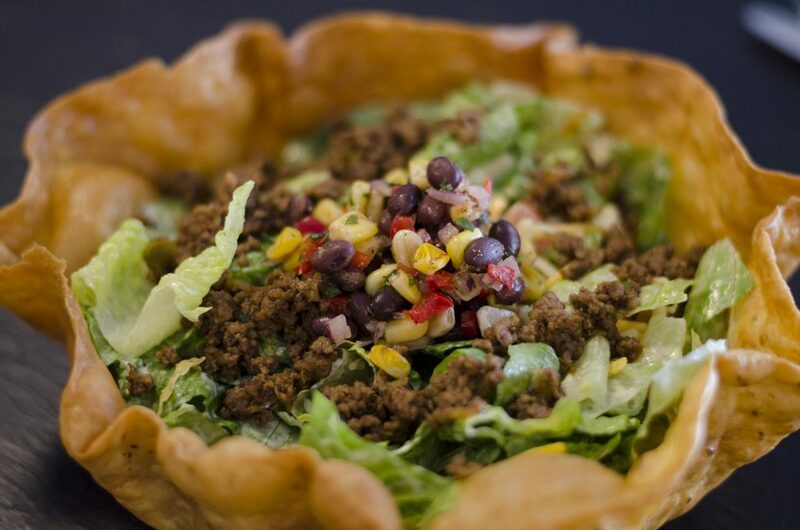 It’s a taco, in a bowl you can eat. ‘Nuff said.